Wash Primer AQ 1000 ml. 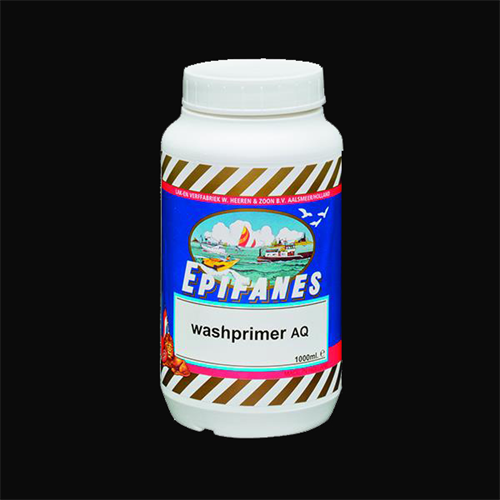 - Epifanes NA Inc.
A water-based adhesion primer providing excellent bond to new aluminum, zinc coated and galvanized steel surfaces, non-ferrous metals, glass and ceramics. For interior and exterior use above and below the waterline. 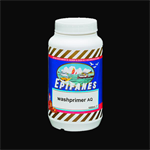 Can be overcoated with all Epifanes one-and two-component products. Apply one thin coat. Avoid curtains. 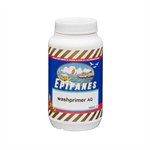 May be used on degreased and sanded existing aluminum prior to coating with Epifanes Multi Marine Primer. New aluminum: bonding primer on difficult adhering surfaces. For interior and exterior use above and below the waterline. Recoatable with all Epifanes one-and two-component paints. 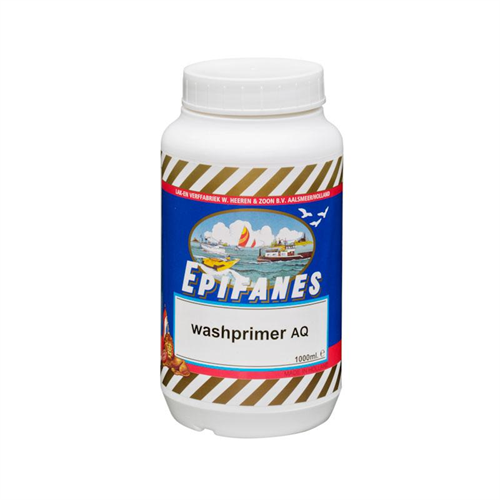 Do not sand Epifanes Washprimer AQ.